My little one is not so little anymore. She's crawling around everywhere, climbing stairs, trying to walk on her own and she's also has teeth! I can't believe in two months she'll be a year old. The time has gone by so fast. Every little milestone has been celebrated, but hasn't all been easy. Teething has been brutal for my little one. She has two teeth now, but she has more coming in really soon and this causes her to want to put everything in her mouth to gnaw on. So I was really excited when I got the opportunity to have her try Munch Mitt. 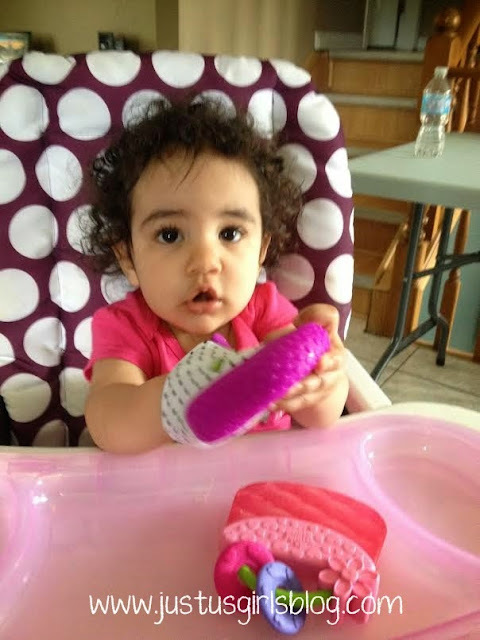 Munch Mitt is a silicone teething mitt that's made with food grade silicone and designed so that your baby can wear and chew to help with teething pain. The mitt can be worn on either hand as it has a Velcro strap to make sure that it stays on. It comes in two different bright colours to get your little ones attention and also comes with a drawstring pouch to put it in when your baby is done using it. The mitt also makes a crinkle sound when your little one is chewing and holding it. This is a sound that not only my little one loves, but my older two loved as well when they were her age. Something about the crinkle sound, babies just love it. 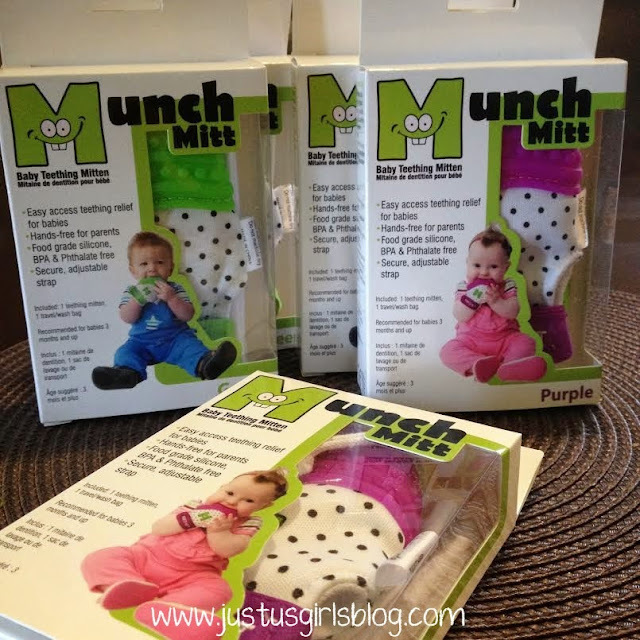 Over the last month my little girl has loved her Munch Mitt. It's been helping her with her teething and saving me hours of time trying to find a teething product that she absolutely loves. Since it's easy to take on the go, it's also been her favorite to have in the car when we're on the go. I can put it on her hand and not have to worry about her throwing it on the floor of the car and crying because she has nothing to play with. I've even given a couple to my sister in law who has a little girl 8 weeks older than my little one. Both girls have been enjoying their Munch Mitt. Munch Mitt retails for $21.95. For more information on Munch Mitt and where you can purchase it, be sure to head over to www.munchmitt.ca. 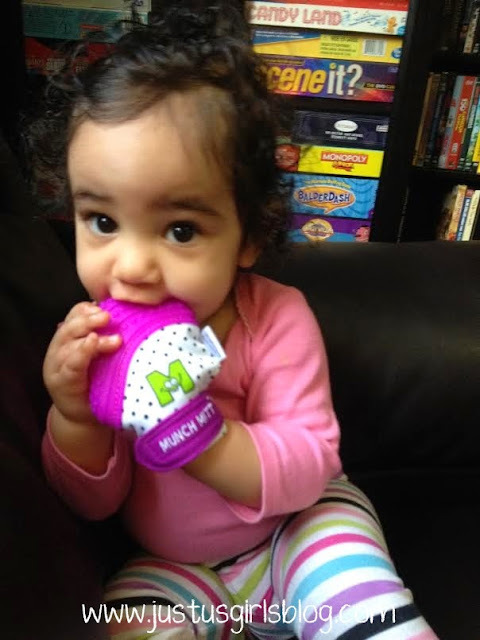 Disclosure: I am taking part in the Munch Mitt Teething Mitt blog campaign. While I have received compensation as part of my affiliation with this program, the opinions shared are my own.